Nigeria's anti-corruption body, the EFCC has explained why they arrested Justice Rita Ofili-Ajumogobia. The Economic and Financial Crimes Commission (EFCC) has explained why it re-arrested a dismissed judge of the Federal High Court, Justice Rita Ofili-Ajumogobia. A statement on Tuesday by its acting Head of Media and Publicity, Tony Orilade, revealed that Justice Ofili-Ajumogobia was re-arrested to enable the anti-graft agency to prefer a fresh criminal charge against her. It added that the arrest was in line with the decision of the Court of Appeal, Lagos Division, in a case involving Justice Hyeladzira Nganjiwa, where the court held that a judge could not be prosecuted until he or she had either been dismissed or compulsorily retired by the National Judicial Council (NJC). The EFCC noted that consequent upon the fact that it had presented Justice Ofili-Ajumogobia before the NJC for disciplinary action and that the council had taken a position, it would approach the court to prefer fresh charges against her. 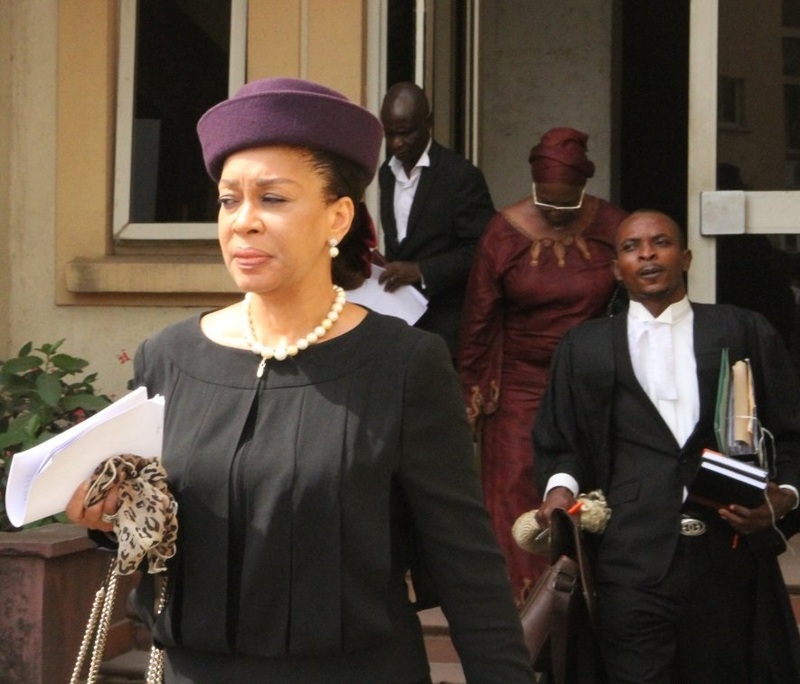 Ofili-Ajumogobia and a Senior Advocate of Nigeria (SAN), Godwin Obla, were first arraigned on a 30-count on November 28, 2016, on offences bordering on alleged perversion of the course of justice, graft, unlawful enrichment, providing false information and forgery. They were later re-arraigned on an amended 31-count bordering on an alleged perversion of the course of justice, unlawful enrichment and forgery. According to the anti-graft agency, the judge and the lawyer had pleaded not guilty to the charges preferred against them, thereby setting the stage for the trial. It revealed that it presented 12 witnesses and tendered several documents that were admitted in evidence by the court in the course of the trial. The EFCC said counsel to Ofili-Ajumogobia who was the first defendant, Robert Clarke, in an application dated November 27, 2018, said the court lacked jurisdiction to hear the case and urged the court to discharge and acquit his client. But counsel for the second defendant, Obla, Ifedayo Adedipe, told the court on January 25, 2019, that the charges preferred against his client could be entertained. He, therefore, urged the court to separate the charges so that his client could continue with his trial. The judge had further directed both parties to make their submissions based on the application on the jurisdiction of the court. In his ruling at Tuesday’s sitting, Justice Oshodi stated that based on the judicial precedent set by the case of Justice Nganjiwa V. FRN, the High Court lacked jurisdiction to hear the suit as the EFCC “jumped the gun” in filing the first amended charge. “As at Monday, December 11, 2017, the EFCC was aware of the decision reached by the Court of Appeal in Nganjiwa vs FRN. As at that date, the amended information was yet to be filed and the 12 prosecution witness was still giving evidence,” he was quoted as saying by the EFCC. The anti-graft agency stressed that in view of Tuesday’s ruling by Justice Oshodi and having complied with the NJC procedure, it would prefer fresh criminal charges against Justice Ofili-Ajumogobia.